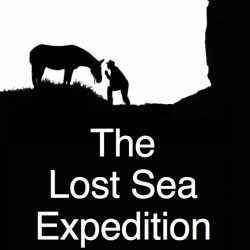 The “Lost Sea Expedition” is the 4-part series about Bernie Harberts’ 14 month wagon voyage from Canada to Mexico. Filmed with only the gear he carried in his one mule wagon, the series provides an in depth look at life on the road with a mule, the people of the Great Plains and the ancient sea that covered the middle of America. Filmmaker Bernie Harberts films with old gear, flushes with gravity water and heats with wood in western North Carolina. 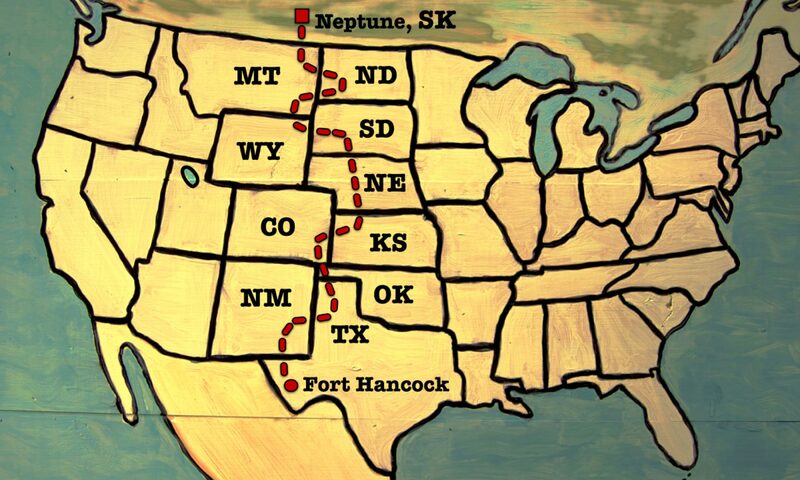 He has sailed alone around the world, traveled both ways across America by mule and naps 23 minutes every day. Have you ever wondered what it is like to work at Medieval Times Dinner & Tournament in Schaumburg, Illinois? Check out this in-depth and behind the scenes look at the Chicago castle atmosphere and hear the stories of 18 amazing team members that make a show possible! Since this documentary was made, the Chicago castle has now released its BRAND NEW SHOW titled SOVEREIGN featuring a sole female ruler as Queen of the realm. Come out to see the same amazing environment (and people) as featured in this documentary with a new, fresh storyline and new costumes! Wise Horsemanship at Freedom Farm introduces the vision and guiding principles behind the equestrian magic of Freedom Farm, Port Angeles, Washington. Owner/lead trainer Mary Gallagher narrates over moving scenes of herd life, daily work and play at Freedom Farm. Mary’s fascination with horses began at the age of six and has never ceased. She is a versatile trainer and clinician, combining her knowledge of show jumping and natural horsemanship to reach new dimensions of balance and communication between rider and horse. Mary has ridden for world renowned instructors, trained with Olympic riders, and personally hosted A rated shows in Washington State, all while adopting and developing principles of natural horsemanship. She has a lifetime of knowledge, experience, and passion for horses and horsemanship. Her personal instruction and clinics emphasize connection, communication, and cooperation. Jeff Sanders is a sixth generation Californian horseman. Jeff travels around the world teaching horsemanship and preserving the traditions of old Spanish California. This is his documentary. The documentary SILENT COMRADE accompanies three soldiers that are trying to find a way back to life with the help of Equine Assisted Psychotherapy for PTSD. Where the conventional medicine is limited, Claudia Swiercek fills the gap with her horses. “Horses are mirrors of the soul.” With this sentence in mind, I went on a journey through Mongolia in the summer of 2014, accompanied by two horses.After five weeks in the saddle I still hadn’t come to a full understanding of what that saying was supposed to mean. Shortly after my return to Germany I met Claudia Swierczek who told me about her Equine Assisted Psychotherapy for traumatized soldiers. I was fascinated by the thought of these sensitive animals helping soldiers to cope with their traumas. “Pony Pastorale” and soldiers – how could these two possibly go together? And how does Claudia Swierczek manage to help even with the allegedly hopeless cases? SILENT COMRADE attends the therapy sessions as a silent observer and allows access to Claudia Swiercek’s unique form of therapy. It takes an intimate look at three characters, who talk about the causes and consequences of their traumas with an unusual openness and sincerity.Through their interaction with the horses, their invisible wounds become visible and palpable. Join an adventure in ‘Trusting More’ as one wild family takes off across the United States in an RV named ‘Grace’ to adopt two bonded wild Mustang mares, the ‘Soul Sisters’, and bring them back to their forever home. A “Trail Of Tears” direct descendant Cherokee womans’ personal journey that informs & reflects into the world of horse slaughter. Bringing awareness to the issues affecting horses, both Wild & Domestic, and connects people to the spirit of the Horse through multicultural participation and co-creation through all the ARTS. LIFE IN THE DOG HOUSE tells the inspiring life stories of Danny Robertshaw and Ron Danta and the remarkable work they do at Danny & Ron’s Rescue. Ten years and 10,000 dogs later, their unique approach to life and dog rescue will capture hearts and inspire millions to make the right choices when it comes to mans best friend. The long arm of the law has caught up with a white-collar criminal in the Netherlands, who also happens to have a tremendous passion for show jumping horses. His internationally successful Olympic show jumping stable is now facing the prospect of going under. The hunt is on for London, a champion horse and winner of 2 silver medals at the Olympic Games in 2012. Top jockey Schröder must now continue to perform under enormous pressure, while he can do no more than sit on the side-lines as the owner is involved in a bitter battle against the banks to stay afloat. Walter LLoyd, who died at the age of 93 in January 2018, was one of only a few ‘gorgios’ (house dwellers) who had the trust of the Gypsy and Traveller community. He counted many Gypsies as his friends, and his knowledge of the Romany language, Gypsy tribes, history and customs made him a truly modern-day Romany Rai. How is the life of horses when they live in the wild? Answering this question is the engine that launched the scientific project created and led by Lucy Rees, unique for its characteristics in Europe, in the mountainous north of Extremadura (Spain). And it is also the starting point of our documentary film. We will have Rees, expert in equine behavior of extensive experience as well as writer of essays on equine behavior and fiction, as narrator of his adventure, which began bringing a group of horses of race pottoka, considered the oldest that exists thanks to DNA studies, to a space where they could live in freedom and without any human management to study their behavior. Marwari is an ancient breed from the Marwar region in Rajasthan, India. They are identified by their distinctive inward curling ears, and are particularly admired for their intelligence. They are considerably smaller than their European counterparts, but have been used as cavalry horses in India throughout history due to their loyalty and bravery. Today, they are also popular for a diverse range of purposes – from use in special ceremonies such as weddings; to endurance trekking and ‘dancing’. The programme allows us to learn more about these fascinating creatures and the local people who breed, train and love them. Wendy has been living happily at Rosenborg stables for a year. Yet the financial situation of the estate is dire. As Wendy learns about a tournament organized by the near-by modern riding stable, she decides she has to win! With the prize money she might be able to save Rosenborg. But her trained circus horse Dixie is not a jumper and sure doesn’t feel like changing careers. When a traumatized tournament horse called Penny arrives at Rosenborg, Wendy immediately recognizes her potential, even though she is scared of jumping. Now Dixie starts to feel neglected and Wendy faces a tall order; she has to save her friendship with Dixie while helping Penny to overcome her fear and win the competition! “As I spend my time helping people with their horses, one thing that always sticks in the back of my mind is ‘I wonder if they have any idea of what is possible, with the horse they already own”. Steve Halfpenny. What if there was more to communicating with horses? Could you truly build a relationship of trust and confidence with your horse using feel, timing, balance, empathy and light hands? This is the new movie based on the life of Steve Halfpenny, the remarkable Australian horseman. “Soft Feel and Light Horses” is directed by award-winning filmmaker Elaine Heney, with music by the Grammy nominated Mary Ann Kennedy. Watch the exciting events of the Mid Devon Hunt Pony Club unfolding through the eyes of 10 year old Biba, as she attends their annual camp at Bicton Arena. From the early starts, feeding and looking after their ponies, the nerves of the first ride, the excitement of cross country and the fun had and friendships that are made at their pony club camp. This film is about the almost unknown possibility of training horses to be controlled when at liberty in completely open (unlimited) spaces, perhaps similar to how dogs can be trained. Film description: Steve TV is the monthly new TV show with Australian horseman Steve Halfpenny. Tune in each month and watch case studies, meet great horses from around the world and get all the latest news and insights from Steve Halfpenny, the #1 best-selling author, award-winning film-maker, international clinicican and founder of Light Hands Equitation. Directed by award-winning filmmaker Elaine Heney. Follow young horsewoman, “Mustang Maddy,” as she explores the possibilities of the horse-human relationship with Amira, a former, wild horse out of chances. A series of events led Maddy to set out on a mission to train Amira to ride without her ever having worn any ropes or tack – in just one week. More about the EQUUS Film Festival here.